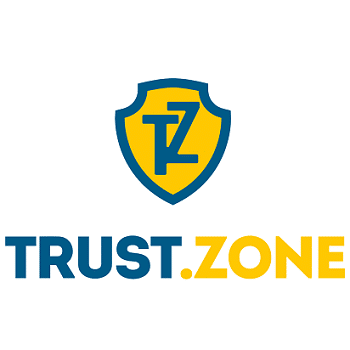 Trust.Zone VPN Review 2018 – Is Trust.Zone VPN reliable? Mandee Rose | Posted on February 20, 2018 February 28, 2018 | 3 Comments on Trust.Zone VPN Review 2018 – Is Trust.Zone VPN reliable? Trust.Zone VPN boldly claims on its website that it’s “The one to rely on!” Is that true? Will it give you the most bang for your buck? If you’ve spent any amount of time trying to sift through all the different VPN services, you know how big a challenge it is. The industry is littered with sub-par services, while VPN services seem to be like snowflakes – no two are exactly alike. Even though VPN providers frequently use the same encryption algorithms, services vary widely in terms of software clients, extra security features, logging policies, and the number of allowed simultaneous connections. Today we’re going to be picking apart Trust.Zone VPN piece by piece to help you make an informed decision, before committing to a subscription. Let’s dive in, starting with its pros, cons and pricing model. Trust.Zone’s pricing model is probably its most attractive feature. It undercuts the majority of competing services by a wide margin. To give you some perspective, high end VPN services usually cost in the ballpark of $8 – $9 a month with an annual subscription. 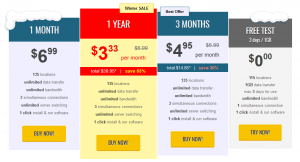 It’s uncommon to see a service that offers monthly rates as low as $3.33. That’s less than the price of a book or fast food meal. There are a few other services that compete within this price range, such as PIA VPN, which only costs $3.33 per month with an annual subscription as well. If you thought you could get away with using the free trial indefinitely, I’m sorry to inform you that you’re out of luck. Free trials are often very nuanced and riddled with limitations, but this is to be expected. The Trust.Zone VPN free trial is limited in four main ways. First of all, free users don’t have access to all 105 server locations. They are restricted to 80 locations, though still with access to the most popular countries. Secondly, the free trial is limited to three days. I wish it were longer, but hey – free is free! Thirdly, free users are only permitted one active connection at a time. Lastly, Trust.Zone imposes a data cap on free users – you’ll be limited to 1GB of total data before the trial deactivates, which isn’t a lot. This is basically Trust.Zone’s way of ensuring that free users don’t swamp its servers and burden paid subscribers. However, even though there’s a data cap, you’ll still have unlimited and unrestricted bandwidth. In my opinion, the free trial only serves as a means to test out Trust.Zone VPN’s quality of service. It’s certainly not appropriate for long-term use, though I suppose it could help you out of a jam if you need to securely unblock geographically restricted content for a few days on vacation. If you’re looking for a free account to satisfy your data security needs for only a short amount of time, I’d recommend looking into VyprVPN or TunnelBear, since they both offer free trials as well. However, note that similar restrictions are applied to these two additional free trial services. As I say, these limitations are fairly common among free trials. Trust.Zone What Do I Get? Trust.Zone has a decent set of features, though perhaps doesn’t have all the ancillary features, bells, and whistles of other services. For starters, Trust.Zone VPN is available on all the major operating system platforms. Whether your system is running iOS, Android, Linux, Windows, or Mac OS X, you can use Trust.Zone VPN to lock down internet transmissions with encryption. While a few of those features may sound pretty enticing, you should be aware that several of them aren’t anything out of the ordinary. For instance, every provider will claim that it has a “no logging” policy. While it’s true that Trust.Zone doesn’t log user activities, it does log some metadata such as bandwidth statistics and connection times. This is common among providers, because VPN services need to track server usage to plan for future capacity and maintain a certain level of quality of service. Furthermore, the unlimited speed and bandwidth features aren’t anything special. If a VPN provider throttled users’ connections, I imagine it would lose customers to a competing service rather quickly. It’s extremely rare to see a provider limit the bandwidth or data usage of an account. In fact, the only place I can remember seeing such a policy is in regards to free accounts. It’s a fairly common practice to limit free users with a data cap, so they don’t hog bandwidth and ruin a paid subscriber’s experience. Similarly, OpenVPN and L2TP connections are centerpieces of most other VPN services. The only common connection protocol missing in Trust.Zone’s features is PPTP. However, PPTP is not secure and only provides weak encryption, so I can see why they wouldn’t want to offer it. My advice is to stick with OpenVPN, since its encryption still can’t be cracked. Next, consider that the size of Trust.Zone VPN’s network is limited to 31 countries. 105 servers may sound like a lot, but many other providers host hundreds of servers in 50+ countries. 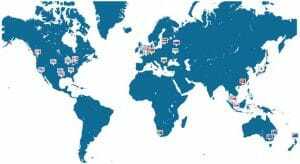 In fact, ExpressVPN hosts servers in 94 countries. To be fair, Trust.Zone locates its servers in all the most popular geographic regions, including the US, Canada, Hong Kong, Japan, and Australia. The highest concentration of servers is spread across Europe. The only location in South America is Brazil, and the only location in Africa is Johannesburg, South Africa. If I were to rate the size of its network like an Amazon review, I would give Trust.Zone’s network 3.5 stars. However, I was pleased that Trust.Zone permits three simultaneous connections for paid subscribers. Some providers lock paid users down to only one or two concurrent connections. With Trust.Zone, you have the freedom to use its service on multiple devices at the same time. Lastly, note that Trust.Zone permits P2P traffic, which is great if you’re a Bittorrent junkie. Though it may seem like a given for a service to allow Bittorrent downloads, there are plenty of VPN services that restrict P2P traffic in certain areas (or throughout their network), in order to mitigate potential legal conflicts regarding copyright enforcement. Overall, I don’t think that Trust.Zone has bad features. It seems to cover all the necessary bases, but only just. There wasn’t anything about this service’s features that jumped out at me, appeared dazzling, or exceeded expectations. I ran speed tests with Trust.Zone VPN using OpenVPN. I benchmarked my connection’s performance by first running a speed test without a VPN with a local speed test server, and then ran the speed test again with the VPN tunnel connection up. I repeated the process for a location halfway around the world to test connections over long distances, too. The results weren’t overwhelming, but were certainly positive. I didn’t have any problems accessing content, browsing the web, streaming YouTube content, or downloading files with either test. In both tests, I didn’t encounter any buffering issues with streaming video, which was encouraging. Some webpages did appear to be slightly more sluggish than usual, but that’s to be expected. There are FAQ and troubleshooting pages, but they weren’t as clean as some of their competitors’ knowledgebases. The FAQ page was okay, but I felt the troubleshooting page could use some work. The topics are just laid out in one long list, so it was difficult navigating the page. Also, the steps for any given problem were short and listed in text. I didn’t see any highlighted images to help guide users. Furthermore, access to the support team is limited. The support department is only available from Monday to Friday, 6:00 am to 4:00 pm GMT, while most other providers have 24/7 support. And the only way to initiate contact with the support team is via a web form that sends an email to open a ticket. I’m a huge fan of live chat systems, since they provide direct access to support representatives, so I was disappointed not to see that feature. Should I Use Trust.Zone VPN? If you’re still unsure about Trust.Zone VPN, I’d highly recommend taking advantage of the free trial. Even though it only lasts for three days, it’s the best way to test out the service. On the whole, I wasn’t overly impressed with Trust.Zone VPN, especially in terms of features, but it’s hard to argue with its pricing model. I thought the support was dismal, but if you’re comfortable troubleshooting software and are proficient at using a computer, this may not matter to you. If you’re the type of person who wants solid encryption to secure your internet connection and little else, Trust.Zone is a good option. Some people simply don’t care about the size of a provider’s network, since they’ll only be connecting to a few different locations. Furthermore, some people don’t really find any use or value in extra features. If this sounds like you, using Trust.Zone VPN will cut out all the costs factored into more expensive services’ ancillary features, which will provide you with a basic and secure VPN connection at an affordable price. Rubbish. Easy to install and decent support, but for us in Australia in regional areas it is useless. With it running we cannot open web pages and have massive slow response. Turn it off and have great NBN speed with no issues at all. Because they do NOT provide a P2P specific service, activity IS seen when using BitTorrent. I am frustrated with them.